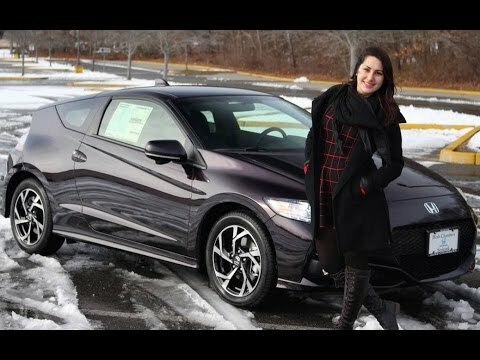 The 2016 Honda CR-Z is edgy sports coupe meeting green commuter; rock `n roll played on a lute. With zoomy and zowie looks, a neat interior, sporty handling, decent fuel economy and an environmentally friendly hybrid powertrain, it's a hyper-drive answer to the old question of moving two people in an efficient and fun manner. Honda is great. I love to drive it and I want to drive it. I like how comfy the seats are and the materials. The engine is not loud and it is quite. Having GPS makes it more useful. I love the color black! The exterior matches the interior and its glamorous. I am happy. Honda is a great company from japan! Go japan!! Dependable hybrid drive system. Excellent total cost of ownership. Great little commuting car. Excellent mileage. Fun, sporty to drive. Classy interior and interior amenities. Great quality and workmanship.